LOS ANGELES (WABC) -- The Mets and Dodgers open their best-of-five series on Friday in what looks to be a good pitching matchup. Reigning Cy Young and league MVP Clayton Kershaw gets the ball for the home team against 2014 Rookie of the Year Jacob deGrom. 2) Dodgers star pitcher Clayton Kershaw has struggled in the postseason. The three-time Cy Young Award winner and reigning NL MVP is 1-5 with a 5.12 ERA in six playoff series since 2008. 4) The Mets won four of seven meetings between the teams, all in that month before Yoenis Cespedes arrived from Detroit in a trade that boosted the Mets' offense. 5) Mets manager Terry Collins, at 66 the oldest skipper in the majors, makes his postseason managerial debut. 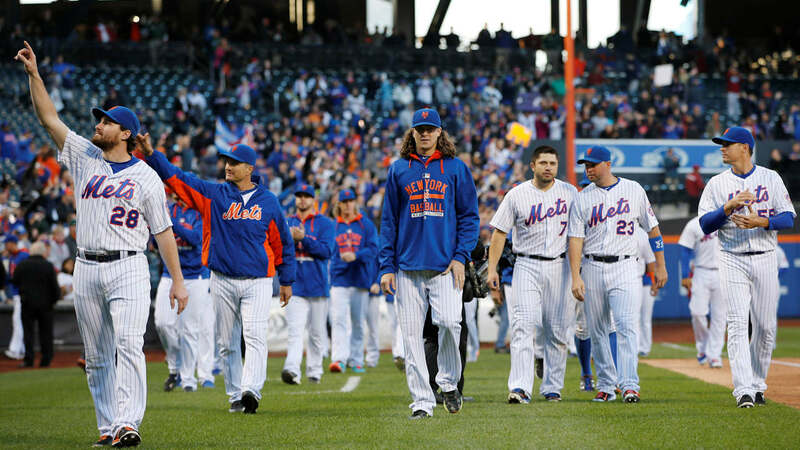 6) A five-game losing streak during the final week of the season cost the Mets home-field advantage in this series. That could prove critical, because the Dodgers went 55-26 at home and 37-44 on the road. 7) Game 3 will mark the first playoff game at Citi Field, which opened in 2009. 8) Back in the playoffs for the first time in nine years, the Mets will try to end a World Series drought that dates to 2000 - the longest in franchise history. 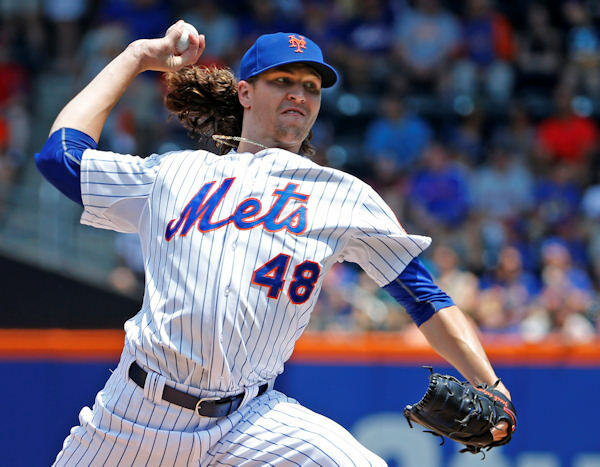 Mets starting pitcher Jacob deGrom (48) delivers in a baseball game against the Los Angeles Dodgers in New York, Sunday, July 26, 2015.